What’s the difference between specialty and industrial gases? Many people are confused over the difference between industrial gases (sometimes referred to as commodity gases or bulk gases) and specialty gases (sometimes referred to as cylinder gases). In general, most compressed gases are used for some sort of industrial application, so all could be considered to be industrial gases. The true difference between specialty and industrial gases lies in the complexity, level of purity, and certainty of composition of the gas. Basically, specialty gases are industrial gases taken to a higher level – they are high quality gases manufactured for specific applications and prepared using laboratory analysis and other precise processes to quantify, minimize, or eliminate unknown or undesirable characteristics. Precision blending is also used to achieve accurate concentration values for components contained with the gas mixture. What are OSHA/DOT requirements for compressed gas cylinders? OSHA’s Compressed Gases (General Requirements) Standard, §1910.101 specify that compressed gas cylinders under your control must be maintained in a safe condition to the extent that the cylinders’ mechanical integrity can be determined by visual inspection. However, both OSHA and DOT recognize that, based on the service of the cylinder, i.e., material, pressure, etc., a visual inspection alone may be insufficient to determine the mechanical integrity of a compressed gas cylinder. That’s why it’s a good idea to have your gas cylinders inspected and maintained regularly by an experienced gas supplier. What’s the proper way to handle compressed gas cylinders? Always wear proper Personal Protective Equipment (PPE). prevent them from being dropped or from falling over. Do not remove or change numbers or marks stamped on cylinders. burst into flames if touched by an ignition source such as a spark or cigarette. What gas is best for MIG welding? MIG is the acronym for metal inert gas welding, which uses a wire electrode that’s consumed in the process of creating the weld. 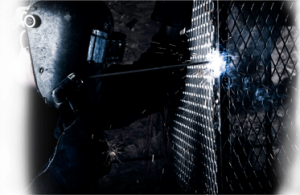 MIG welding requires the use of what’s called a “shielding” gas that prevents the nitrogen and oxygen in the atmosphere from contaminating the weld as it’s produced. For metals that don’t contain iron, inert gases such as argon or helium may be used; for example, aluminum is almost always MIG-welded by using 100 percent argon as the shielding gas. For steel, however, pure argon doesn’t provide enough weld penetration and helium tends to cause excess spatter. Pure carbon dioxide allows for a deep penetration and is inexpensive, but it also produces excess spatter and oxide formation, which weakens the weld. As a result, pure carbon dioxide is rarely used as a shielding gas in MIG welding. A shielding gas composed primarily of argon with a smaller amount of carbon dioxide is sometimes used for some steels — the argon prevents excess oxide formation and the carbon dioxide allows for deeper penetration. Greater carbon dioxide content generally increases the weld heat and also increases spatter, especially when it comprises more than 20 percent of the shielding gas. Argon/carbon dioxide shielding gasses typically contain 10 to 25 percent carbon dioxide.